The one asset every Indian would like to own is a house. Most young individuals start off having a strong inclin ation to buy their own primary home, while some even approach it as an investment option or a weekend home. There's a sense of pride in owning a house - and today many take enough care to design it with taste. Given the real estate prices these days, buying a house is the biggest financial decision. Though affordability is a challenge, Home Loans come to rescue to satiate this financial goal of life. Ask any person how they would choose the financial institution to avail a home loan... and the only criteria that come up for discussion is: cheapest rate! No doubt interest rates matter, but it shouldn't be the only criteria ...especially when a home loan is potentially going to be the longest debt in our lives. While purchasing a house, Housing Finance Companies (HFCs) provide only 80% of the agreement value of the house, the balance 20% would be allocated from your savings, investments, etc. EMIs running across 15 to 30 years could not only put a strain on your savings, but even the other financial goals you have. Therefore in here, we list some of the checkpoints that you should consider before signing up for a home loan with a financial institution. 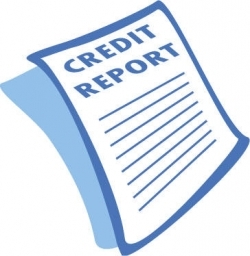 Suit filed or written off cases reported in the Credit Information Report (CIR) - which is indicated in the 'Account Status' section of your CIR. Payment history trend - whether you've defaulted or was the amount overdue. You can find this in 'Days Past Due' (DPD) field of your CIR. Tenure of the loan - Longer the tenure, the higher your home loan eligibility. Interest rate offered - If the interest rates are on a lower side, then the loan eligibility will be higher and vice versa. Your Existing loans - With existing loans, eligibility would reduce to keep the EMI to income ratio around 0.50. Your existing EMI to Income ratio - If the current total EMI exceeds your monthly salary by more than 50%, chances of getting loan are reduced. Let's take the help of an example to understand this further. From the table it is evident that under Case Study 2 the borrower's EMI is 50% of his total income, unlike Case Study 1, where the borrower's current EMI is 20% of his income. This affects the borrowing capacity. While the borrower in Case Study 1 can further borrow Rs 1.5 Crore, the borrower under Case Study 2 is unable to do so. Payment history - Making late payments or defaulting your EMIs or dues (recently or consistently) shows you are having trouble to pay your existing credit obligations and will negatively affect your score. High utilisation of credit limit - While increased spending on your credit card will not necessarily affect your score in a negative manner, an increase in the current outstanding balance of your credit card indicates an increased repayment burden and may negatively affect your score. Higher percentage of credit cards or personal loans (also known as unsecured loan) - Too many credit card dues and personal loans can have a negative bearing on your credit score. Remember: Higher your score, higher the chances of getting the desired loan. If you have a bad credit history and a low credit score, the bank may reject your loan application outright. If you are a first time borrower, a credit score may not be available - reducing your chances of getting high loan disbursal initially. Which rate should you opt for - Fixed Rate v/s Floating Rate? A fixed rate is predetermined (fixed) for the entire tenure of the loan, while a floating rate is linked to the Benchmark Prime Lending Rate (BPLR) or the base rate of the financial institution. But these days most of these fixed interest rates come with a reset clause where the bank has an option to change the interest rate after a fixed period of time generally in a range of 3 to 5 years. The floating home loan interest rate will change as and when the bank changes its Benchmark Prime Lending Rate (BPLR) and are cheaper compared to the fixed rates. In an environment when interest rate cycle is on an upturn, it's worthwhile opting for a fixed rate. But when interest rates are on a downturn, opting for floating rate loan is prudent. Certain banks give the borrower a flexibility to convert from a fixed rate of interest to a floating rate and vice versa without paying any fee or penalty. Some lenders even offer hybrid home loan interest rates where the interest rate on such loans remains fixed for the initial 1-5 years, and thereafter it automatically moves to a normal floating rate of interest. How much will the down payment be? Home loans in India are provided by the lenders up to a maximum of 80% (90% in certain cases) of the agreement value of the house. 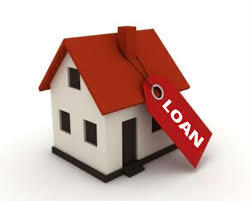 In case of home loan for resale flats, most lenders get the property valued independently, and they will provide the housing loan based on their value rather than the cost mentioned in the purchase agreement. Frequently, the valuation as determined by the banker's evaluator, for the purpose of home loan, is significantly lower than the actual market value, and hence the requirement of the borrowers for down payment for the loan goes up. Banks and HFCs charge a processing fee - which is in the range of 0.50% to 1.0% of the total loan amount sanctioned or a fixed rate (whichever is higher) - to disburse your loan application. But you need to bargain to least or even make sure it's waived off with documented confirmation from the bank. Remember, every rupee saved is rupee earned. Prepayment fees come into the picture in case you want to prepay the home loan or switch to a different lender. As per the guidelines issued by the National Housing Bank (NHB) and Reserve Bank of India (RBI), no penalty is to be charged on prepayment of a floating rate interest loan. However, the same benefit is not available for a borrower with a fixed rate of interest. It is a prudent practice to take down all the charges from the bank in writing and the written document should be preserved in case the bank asks you to pay a different amount after sometime. A home loan can help you make owning a dream home come true. But don't forget to insure the loan and increase your contingency reserves to include enough liquid funds and cash in savings bank account. We hope this session has been informative and addressed some of the fears/doubts regarding availing home loans, and made the process of acquiring one a little more transparent and easy to understand. Ascertain the quantum of home loan you are eligible for. 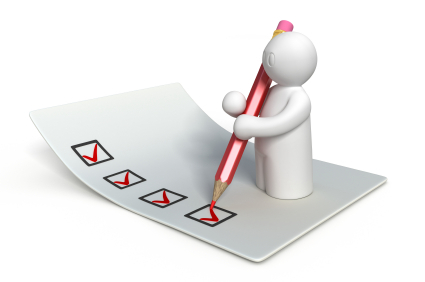 Dig into your credit score to known where you stand on credit worthiness. Plan how you're going to fund the down payment. Lenders usually disburse only 80% of the agreement value of the house, the rest i.e. 20% you got to fund from your savings, investments, etc. Select your loan type carefully - recognise where interest rates are heading - whether northwards or southwards - to take a wise decision. Negotiate with the lender on interest rates and processing fee. 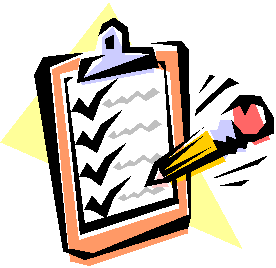 Read the home loan agreement carefully before signing on the dotted line. It is a legal document; there may be the devil hiding in the details. Once you've acquired a home loan, does not mean you got to stay with the lender forever. 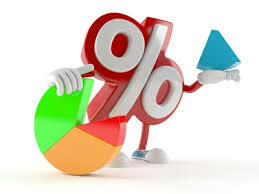 You can always switch the outstanding home loan to new lender offering a competitive interest rate. But evaluate the pros & cons prudently.